A signature piece of furniture is the black pencil post queen bed. An overstuffed, chaise lounge and wing back chair offer guests comfortable ways to relax or read. 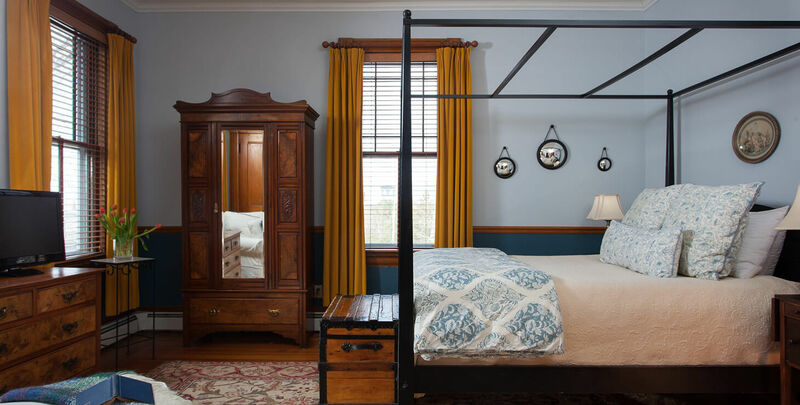 This guest bedroom provides a wonderful respite after a day of exploring downtown Burlington or enjoying our local seasonal festivals and events.